The Caribbean is one of the most popular locations that people choose when planning their vacation. There are many different islands to choose from that offer some fantastic scenery, including white sandy beaches and crystal clear seas. Cuba is one of these islands that is experiencing a large growth in its tourism. Many people simply know Cuba due to its political history but many people overlook that Cuba is a fantastically beautiful island that has a lot of things to offer for anyone thinking of traveling there. The island of Cuba is the largest in the Caribbean and has a varied mixture of people living there. One of its major exports is the famous Cuban cigar. These are sold all over the world and are widely known as being one of the best cigars you can buy. Cuba really does have something for every single tourist. If you're after a nice relaxing beach vacation, then there are many high-quality resorts, you can choose from on the island. And include a large range of prices from the largest resorts down to the quieter ones, which offer a lot more privacy and many can be found tucked away like little hideaways there you can use for your own piece of personal paradise. Cuba is a fantastic island that is recommended for anyone looking for vacation where you cannot only learn a lot of history but also relax on one of the exotic beaches. It is a relatively easy place to fly to from anywhere in the world but one thing you must be aware of is that you cannot fly directly there from America. You should speak to your local travel agent for more information on exactly how to plan your perfect Cuba vacation. Q: Do I need any vaccinations when traveling to Cuba? A: The only recommended vaccination is (Hepatitis A). West Jet Vacations take us on a tour of the many different things one can do, with a bias towards getting away from the crowds. 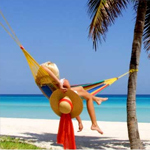 First Choice Holidays has put together an interesting video about visiting Cuba. Professionally edited they cover a lot in 3 minutes.